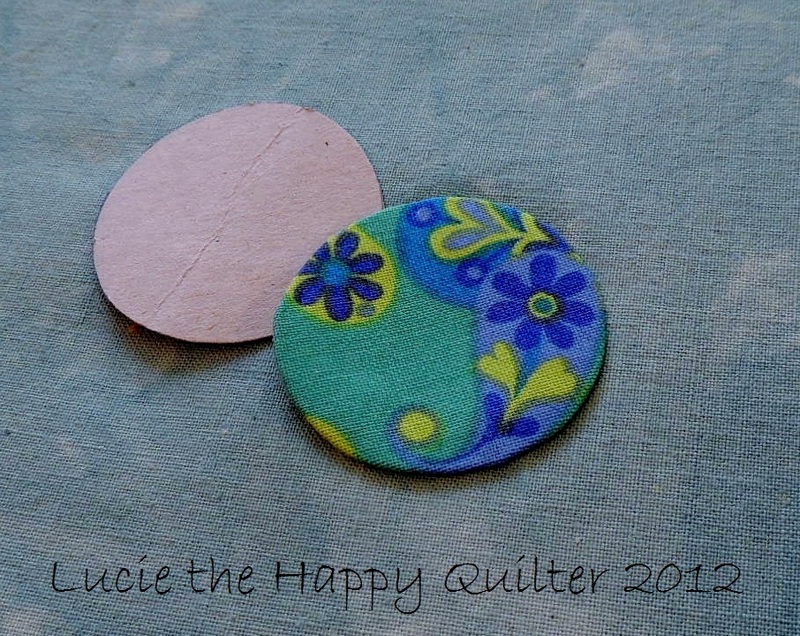 Do you struggle with making really good round circles for your appliqué work? Well here’s a simple way to make good round circles without a struggle. You’ll love this method because it’s really quite simple and gets great results. I start with a cardboard circle template the size of the circle required. I don’t use fancy cardboard; just cereal box cardboard is perfect. Now I trace the circle onto the chosen fabric. Now cut the fabric leaving a generous ¼” allowance. 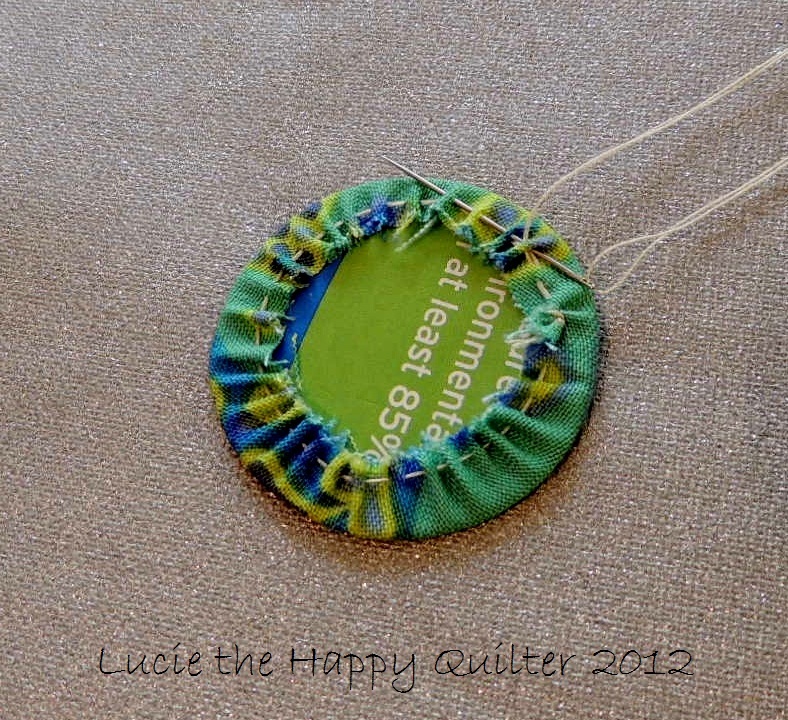 Stitch around the fabric circle using a running stitch approx. 1/8” from the edge of the fabric. Do not cut the thread yet. 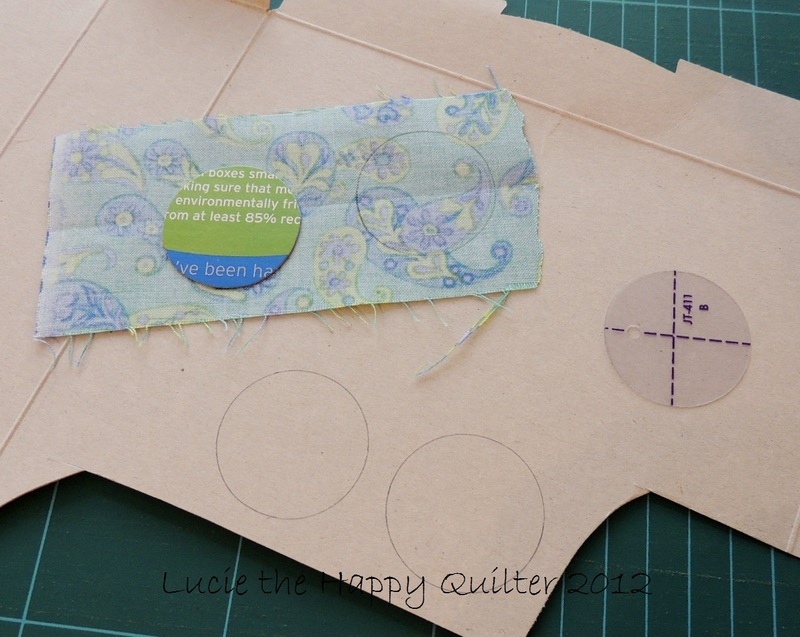 With the wrong side of the fabric facing up, place the card template back into the centre of the fabric and pull the thread and needle which makes the fabric bunch up around the template. Secure the thread, cut. Press the circle on both sides. Let the circle cool. Remove the card template. Press once more. Voila you have a perfect circle to appliqué to your project. Wasn’t that fun? You can use the same method for ovals as well. I often think that it’s the simplest techniques that are the best. I learned this particular method of making circles from a Thimbleberries BOM many years ago. I’ve used this method ever since. 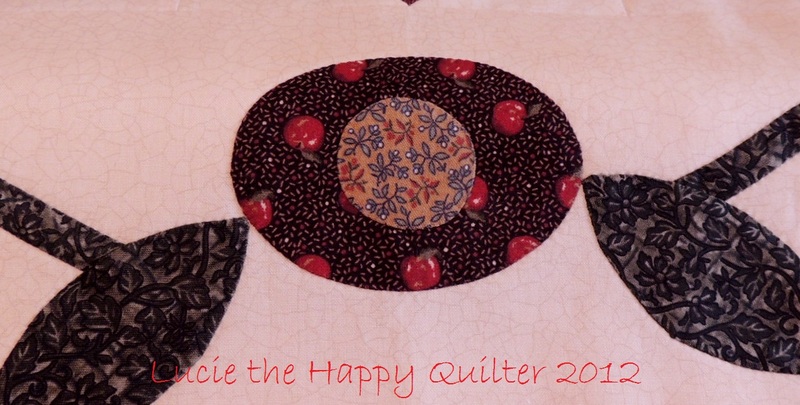 After having a little go today I feel a scrappy quilt coming on. 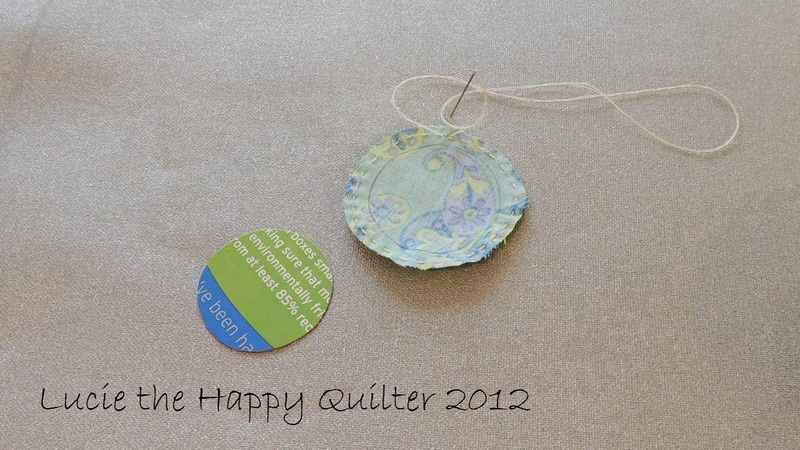 Circles are great fun to make especially if you’re using this simple method. So the next time you have to make circles for a project I hope you’ll visit again. 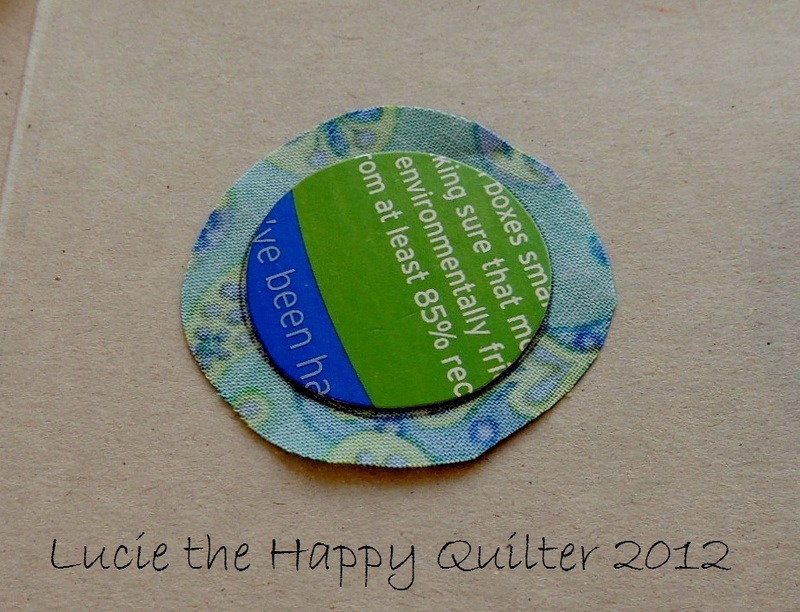 Categories: Patchwork & Quilting, Small Sewing Projects | Tags: Lucie the Happy Quilter, making applique circles, patchwork applique tips | Permalink. ..inspiration helps me get started..helps me when i’m stuck..inspiration can be found in so many different things from the smallest little daisy to the seaside on a beautiful day..its in the colour..the patterns..the texture..its every where.. Categories: Art Journaling | Tags: art journaling, colour, inspiration | Permalink.